Although Promises Promises is done, it seems I can’t keep myself out of the webcomics game so I’m starting a brand new strip, Knight & Dave! 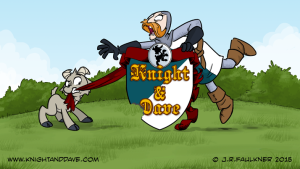 Knight & Dave is a considerable departure from my previous work, it’s an all-ages, fairy tale style, webcomic featuring the adventures of the quixotic Sir Iris and his very contrary sidekick, Dave… who also happens to be a goat. There’s still work to be done so I’m inviting everyone to check out the website for details on the big launch in one month, (Friday, April 3rd) and to follow along in the development process on Patreon! Over the years I’ve received dozens of emails asking about getting a comic started so here’s your chance to see it all, in real-time! 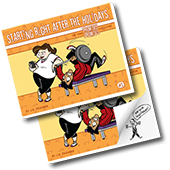 For as little as one dollar you will get to see the whole process of getting Knight & Dave up and running! 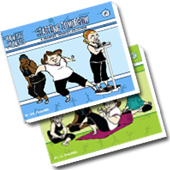 Developing the artwork, the stories and website, the business/monetizing and discussions about some things I learned the hard way and would have done differently in building Promises Promises. 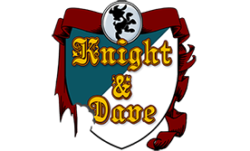 Patrons names will be credited on the “Patrons” page, they’ll get to see the first, finished story before even the first page is posted to the website, have access to exclusive content, video hangouts and a free subscription the Knight & Dave ebooks! All that plus the satisfaction of knowing you’re directly supporting the artist and content you enjoy. What a deal! 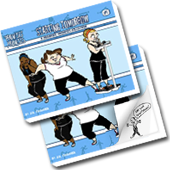 But, if bonus content isn’t your thing, you can still help get Knight & Dave off the ground by bringing attention to the site. All shares, posts, re-blogs, tweets and likes will be most appreciated!